I don’t serve grilled cheese sandwiches for dinner every night, but when I do, I make sure that they’re packed with nutrients and that they’re totally over-the-top tasty. This recipe fits that bill to a “T”—it’s seriously the best one ever! Just ask my avocado-loving kids and husband—my family simply cannot get enough! 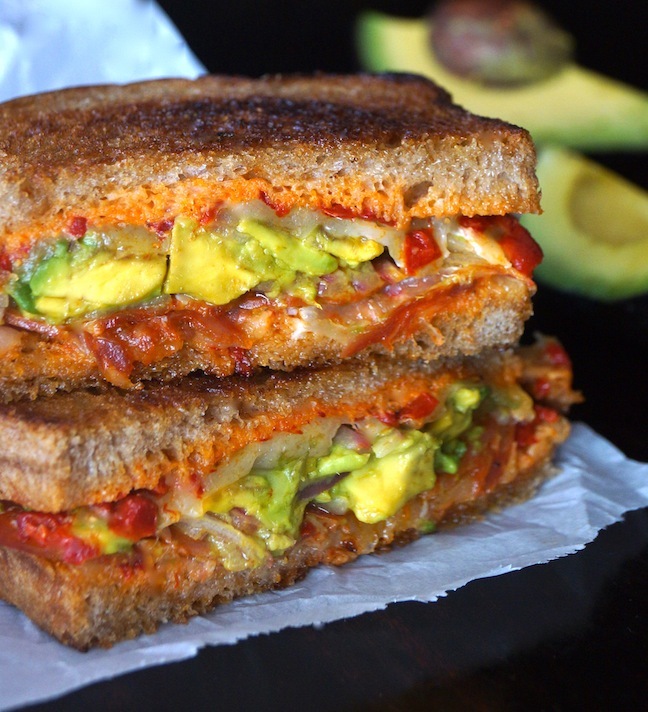 When I think nutritious and delicious, my mind immediately goes to avocados, which is exactly why avocados are the star of this absolutely scrumptious sandwich. 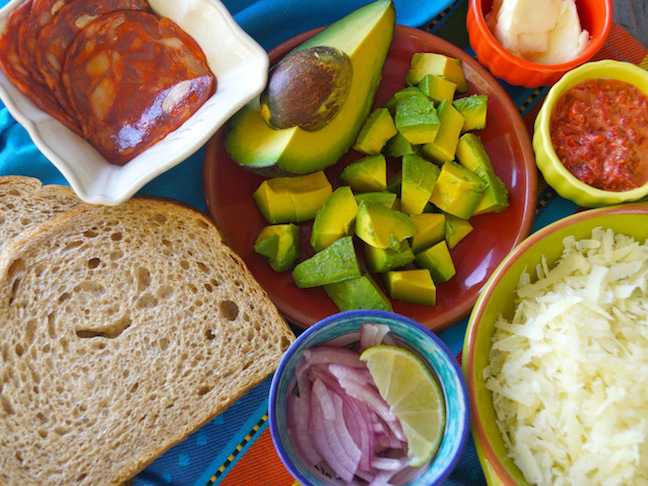 The vibrant Avocados From Mexico have a melt-in-your mouth, buttery texture that’s ideal in this sandwich, with a supporting cast of interesting and complementary ingredients. 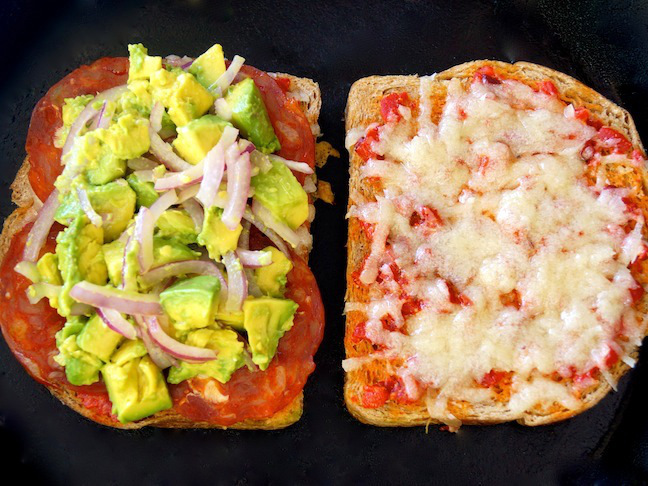 Just imagine, if you will, a bite of crispy whole-wheat toast, melting Manchego, subtly spiced chorizo, sweet red pepper, and perfect avocados! With their distinctive, delicate super tasty flavor and nearly twenty vitamins and minerals, I try to serve avocados every day, one way or another. 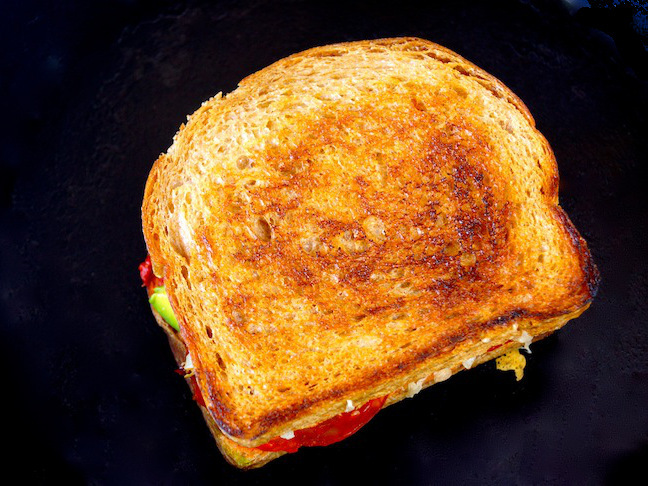 This delicious and stunning avocado grilled cheese sandwich typifies what Avocados from Mexico are all about—integrating good foods into good times, and good fun with good people—the epitome of what I want happening at my dinner table every night. 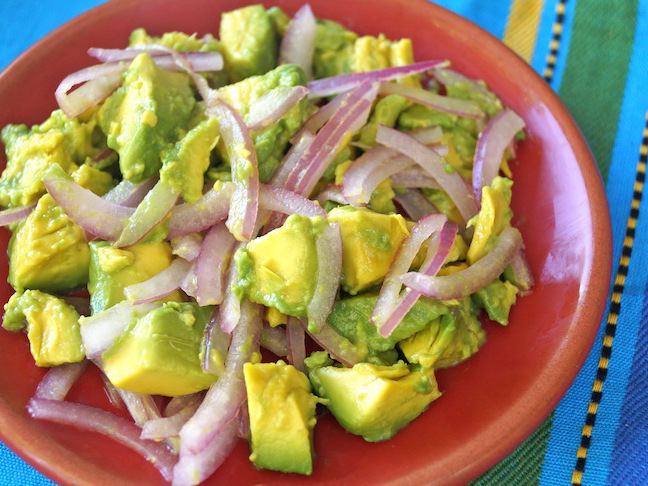 Step 1: Add the red onions to a small bowl and drizzle with the lime juice. This will quickly pickle them. Set aside. Step 2: In another small bowl, combine the red pepper with the mayonnaise and garlic. Add a pinch of salt and pepper and set aside. Step 3: Preheat a heavy-bottomed skillet (preferably cast iron) over medium-high heat. 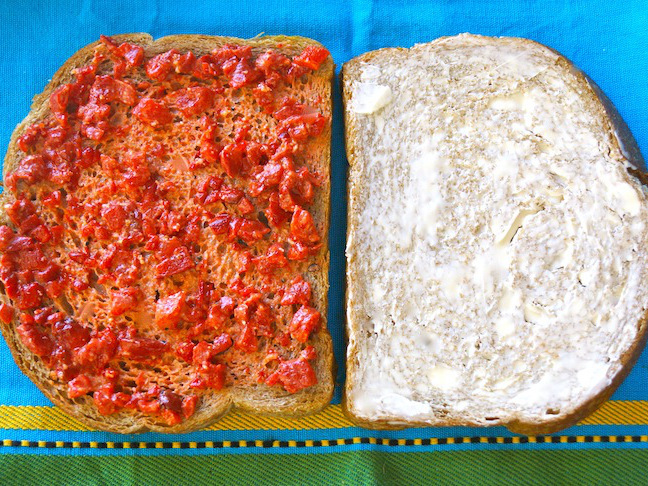 Spread about 2 teaspoons of the butter on one side of each slice of bread. Then spread half of the pepper mixture on the other side of each slice. 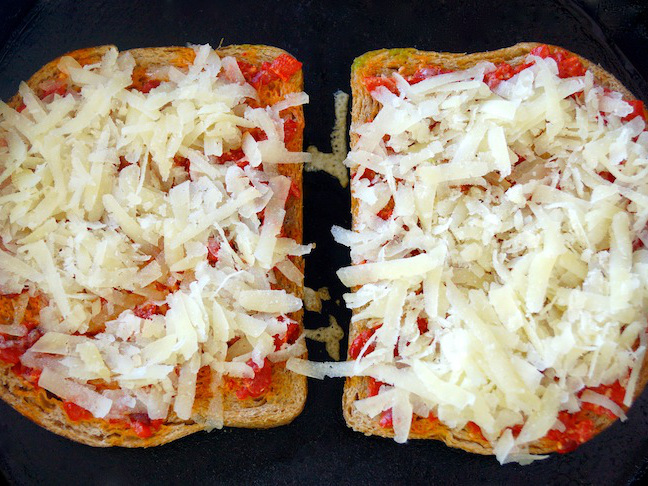 Step 4: Place both slices of bread, buttered side down, in the preheated skillet, and then distribute half of the cheese to each slice of bread, over the red pepper mixture. Reduce the heat to medium-low. 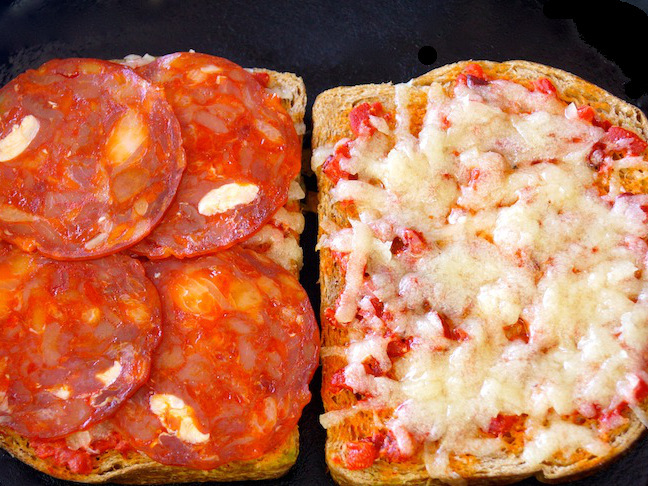 Step 5: Once the cheese is melting, add the chorizo slices on top of one of the slices of bread. Step 6: Peel the avocado, cut about ¾ of it into bite-sized pieces, and place them in a small bowl. Add the lime-pickled onions and gently mix the two together. Season with a pinch of salt and pepper. Step 7: Spoon the avocado-onion mixture over the chorizo slices. Step 8: Close the sandwich and gently press it down with a flat-bottomed spatula. Add 1 teaspoon of the remaining butter to the empty part of the pan and move the sandwich onto it. Let it cook for about a minute or so. Move it to the side, add the final teaspoon of butter to the pan, and carefully flip the sandwich over, onto the butter. Cook for another minute and remove from the pan. When it’s done, both sides of the bread should be golden brown and everything should be more or less held together with the melted cheese. Step 9: Remove the sandwich from the pan, cut it in half, and serve.